Author: IUCN. (2000). (M. C. C. Alfara, L. Aguilar Revelo, A. E. E. Badilla, & L. Simmons, Authors). This series offers concrete suggestions and recommendations for incorporating a gender equity perspective into every stage of the project cycle. This module offers basic conceptual elements for understanding equity. 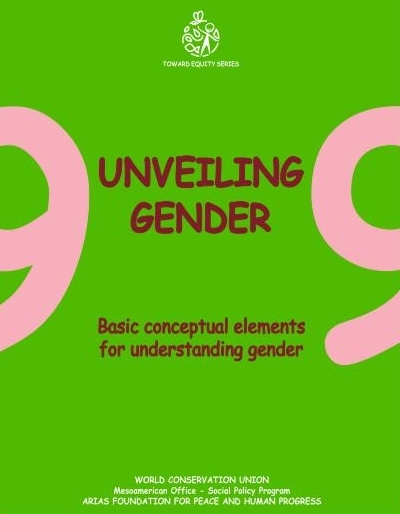 These include how women’s and men’s identity is constructed and the terms most frequently used in gender equity analysis.